We have fifteen years of quality experience providing on site Microsoft, Microsoft for Mac, Adobe and Apple training in Darwin and throughout regional NT. We are the professionals with involving and engaging service that results in clients who keep coming back year after year. Your staff will love their new skills, whether basics, intermediate or advanced and our on-site training service is the best way to upskill your staff in Darwin, Northern Territory and Australia-wide! Whether Alice Springs, Palmerston, Katherine or any of the hundreds of locations in Northern Territory, we come to you. Contact us for a quote. 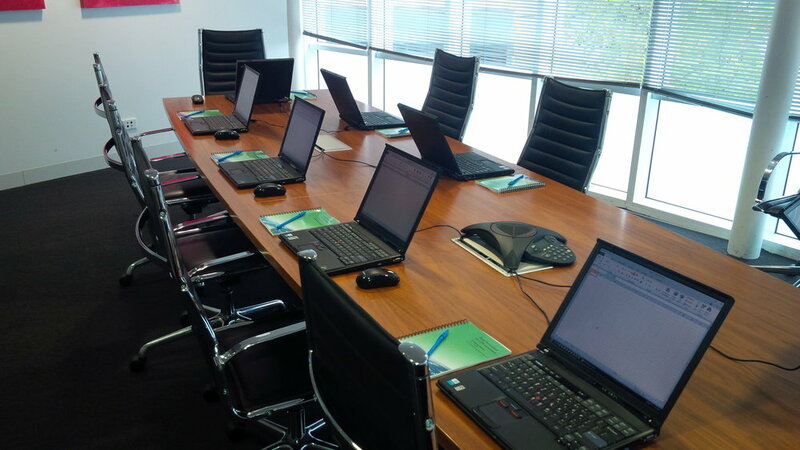 Our onsite training allows your staff to learn in the familiar location of your office and meeting room at all locations in Darwin as well as across Australia for group training or one-on-one training. Use our contact form for information about onsite training with T7 Training Systems anywhere in Darwin and throughout country NT or call us on 1300 092 582.